Taking a short break from our transitional design series because I saw an ad in the Target flyer for items designed by the fabulous Michael Graves and so my attention is wandering. 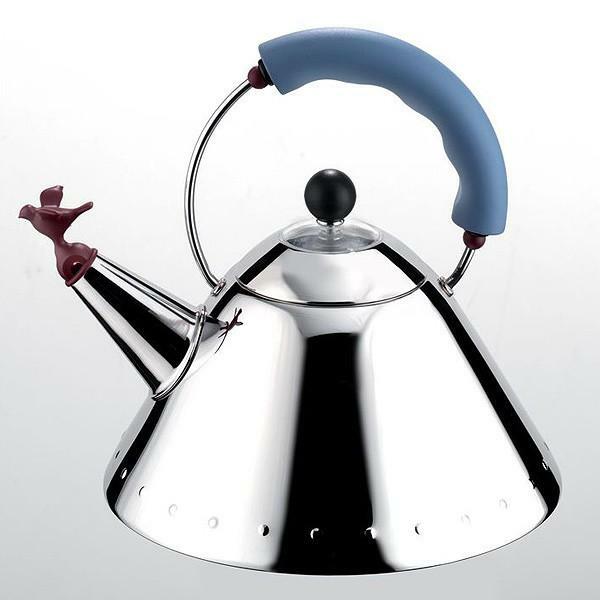 In 1985, Alessi introduced the Michael Graves tea kettle. A friend worked for Mr. Graves in Princeton at the time, and I told her how much I loved that kettle. 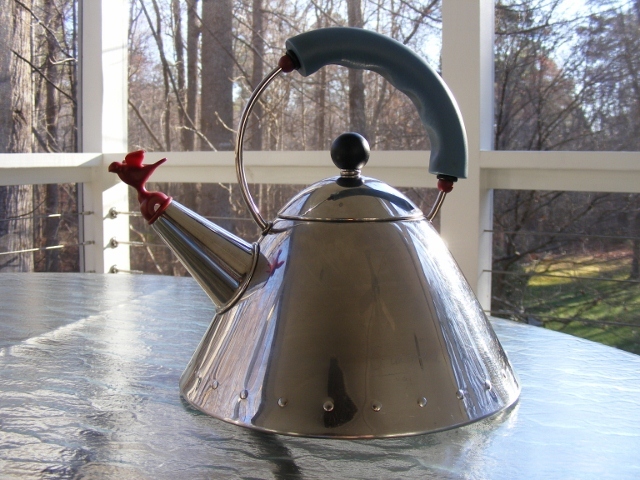 As a girl from New England, I had never seen a teapot that looked anything like that and I wanted one. They were pricey, I think something like $75, maybe a bit more. We were a young family with tiny children and that was not how we spent our money. But I broke down and bought one, directly from Mr. Graves office AND my friend had him sign it! Here it is today (I mean, literally, today–I just took the picture). Not bad for an old girl. You can’t see where he signed it cause I’m not that good with the camera. He scratched his signature into the front with something sharp. It’s a prized possession and lives on top of the stove. Just wanted to share that small detail of my life with you.